Monsoons might bring relief to most but not to people who have asthma. The torrential rains bring the allergens- pollen, dust and dirt particles that aggravate asthma allergies. 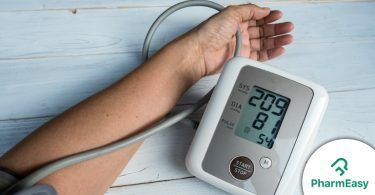 The moisture in the atmosphere and the wet clothes and shoes are the perfect breeding grounds for bacterial and viral infections that cause cold and flu, both infections that can cause havoc in the life of an asthma patient. What one eats has a profound effect on the body, especially during monsoons. The high levels of humidity make our digestion sluggish and slow down the immune defenses. Eating the right foods and avoiding the others will keep you healthy. 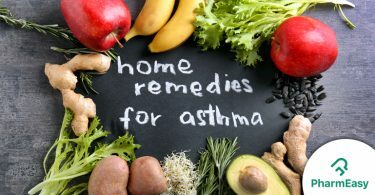 Take a look at the asthma monsoon foods that work for people. Whether it is green tea, masala tea or your regular cup, they all will benefit you in monsoons. Vegetable and dal soups too are beneficial as they increase immunity against respiratory disorders. Plus, both the beverages are easy on the system. 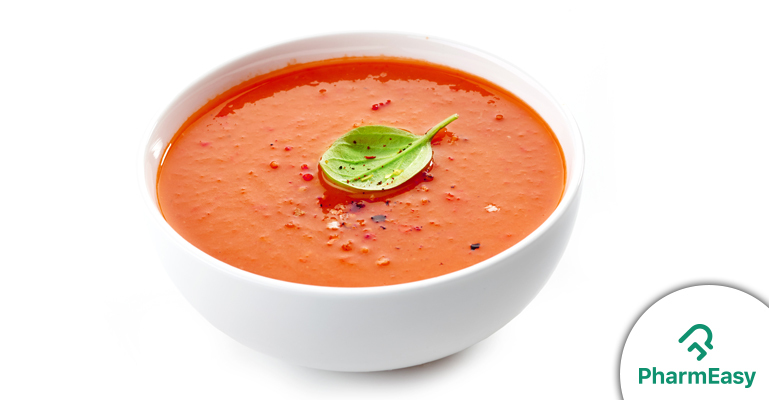 Tea and soups are one of the best asthma monsoon foods! Moong dal boosts metabolism, aids digestion and improves immunity. It is nutritious and can be quickly eaten by toddlers and elderly alike. Avoid raw vegetables as they are full of harmful bacteria and viruses. If incorporating in salads, make sure the veggies are blanched or steamed. If you like eating sprouts, steam those too before consuming. Add garlic and ginger to your meals as they increase immunity and aid digestion. Garlic and ginger add a flavor punch to soups, curries, and ginger can be added to tea to boost its infection-fighting properties. Also, use pepper, asafoetida, jeera, turmeric and coriander powder in your food as they enhance the digestive capability of the body and increase immunity. Most doctors advise that yogurt replaces milk in the diet. Milk can harbor infection-causing bacteria and germs while yogurt and buttermilk have pro-biotic bacteria that help in digestion. Monsoons are the worst season to have green vegetables as they could contain worms and their larvae. Prefer to eat bottle gourd, snake gourd, cluster beans, and bitter gourd. Curries that are rich in fat and dry fruits paste are bad for the system as they stress the digestive system. Mangoes and watermelons must be avoided in monsoons. Eat only seasonal fruits. Avoid idli, dosas, and bread as they are fermented and stress digestion. Avoid tamarind, pickles, chutneys, and lemonade. Attempt to eat freshly cooked meals and avoid anything that has been refrigerated. Those who have asthma must avoid heavy grains such as ragi and bajra as they cause undue stress on the body. Eating right during monsoons will keep the asthma allergies down as the body will be equipped to fight off infections. Hence, keep this list of asthma monsoon foods handy!